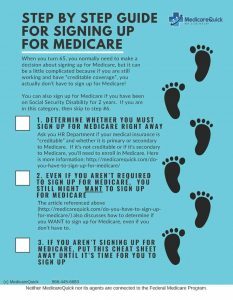 When someone signs up for Medicare Parts A and B, they will typically also sign up for either a Medicare Advantage Plan (which replaces Parts A and B) or a Medigap Plan (Medicare Supplement Insurance). They work differently, and if you'd like to understand the differences, watch my 20-minute video called Making Medicare Decisions. 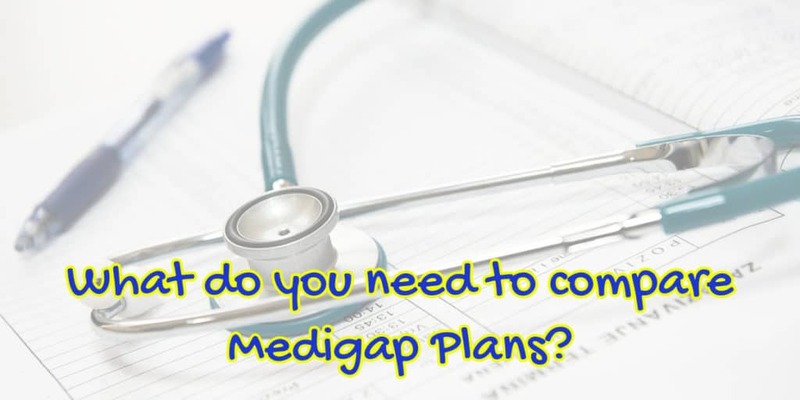 For the purposes of this article, we've assumed that you've decided that you are interested in a Medigap Plan rather than a Medicare Advantage Plan. But let's just recap what it is before we compare Medigap plans. A Medigap Plan is an insurance policy that goes hand in hand with original Medicare. The policy letter signifies which standardized plan you purchase. All plans with the same plan letter cover exactly the same thing. For example, a Plan F with Company A covers the exact same thing as a Plan F with Company B or Company C.
A Medigap policy is a Medigap plan that someone has purchased. They've been given a policy and a card to signify that they have purchased the plan. You'll normally receive a policy in the mail, along with a card that you can use at your doctor's office. This card is given alongside your Medicare card. When you receive your policy, it's a good idea to keep it somewhere safe, such as your safety deposit box. The insurance company can't cancel your Medigap policy due to your health. They can, however, cancel you for non-payment so I suggest that you have these paid directly out of your checking account. Keep in mind that before you can purchase any Medigap Plan, you must have Medicare Part A and Part B. Once you have original Medicare, then you can compare Medigap plans to see which one works best for you. In order to compare Medigap Plans, let's start with Medigap Plan A. This is the basic policy. All Medicare Supplement Insurance Companies must offer Medigap Plan A. Not all companies carry all available Medigap policies. 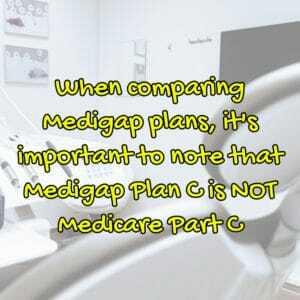 To compare Medigap Plans you must remember that Plans are different from “Parts”. Part A is the part of Medicare that pays for hospitalization. 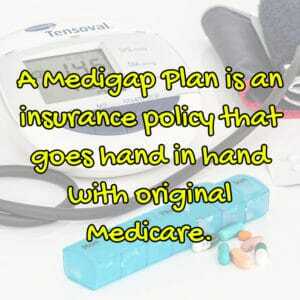 Plan A is a Medigap Plan and it fills some of the gaps in original Medicare. The Federal government regulates all Medigap insurance policies meaning that all Medigap Plan A policies are uniform wherever you purchase it. The only difference is the price. It's actually easier to compare Medigap Policies with what they DON'T cover, so that's what I'll do here. Just as Medigap Plan A is different from Medicare Part A, Plan B is also different from Part B.
Medicare Part B is the part of Medicare that covers 80% of doctor visits. 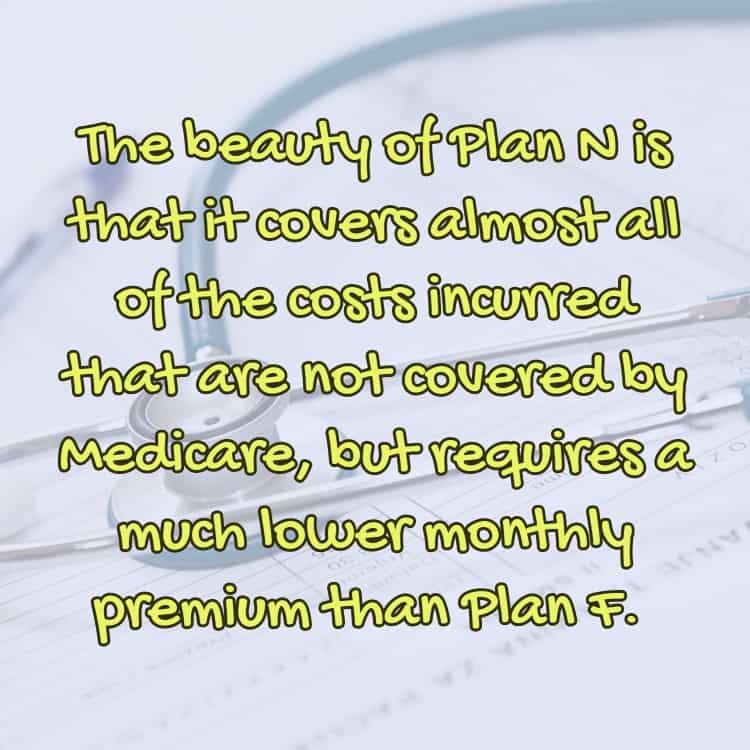 Plan B is a Medigap Plan that helps cover not only the remaining 20% of the doctor visit but also part of hospitalization deductibles and coinsurance as well. Just as earlier we used what the plan doesn't cover to compare Medigap plans, we'll do it here also. When comparing Medigap plans, it's important to note that Medigap Plan C is NOT Medicare Part C. Medicare Part C is Medicare Advantage, and actually REPLACES Original Medicare Parts A and B. Medigap doesn't replace original Medicare, it supplements it. Just as we used what the plan did not cover on the other plans, we'll do that now also to compare Medigap Plans with Plan C.
Part B excess doctor charges. This is the last of the confusing letters when you need to compare Medigap plans. Plan D is not the same as Part D. Part D covers drugs, and Plan D is a Medigap Plan. Medigap Plan F is currently (in 2018) the most comprehensive Medigap Plan. It covers 100% of everything that Medicare covers. So if you have a Medigap Plan F and your service is a Medicare-covered service, you'll never have a copay or deductible. Medigap Plan F is not “going away” in 2020. However, it will be closed to new Medicare beneficiaries at that time. Plan G will be the most comprehensive Medigap Plan starting in 2020. That's because it covers at 100% everything that Medicare offers, except it doesn't cover the Part B deductible. The Part B deductible in 2018 is $183 and is set by the Center for Medicare and Medicaid Services (CMS) every year. Medigap Plan K works a little differently than the plans we just discussed. Like all Medigap Plans, it offers 100% of the Part A coinsurance for hospitalization and an extra 365 days in the hospital. Because it offers coverage with a co-insurance amount, there is also an annual Maximum out of Pocket. This MOOP is $5120 in 2018. Medigap Plan L is very similar to Medigap Plan K in the sense that it offers only partial coverage of costs (75%) not covered by traditional Medicare plans. The real draw of this policy is the low monthly premiums. Medigap Plan L is available in all states with the exception of Wisconsin, Minnesota, and Massachusetts. Because it offers coverage with a co-insurance amount, there is also an annual Maximum out of Pocket. This MOOP is $2560 in 2018. Medigap Plan M is relatively new and took effect on June 1, 2010, the same day that Plan J was discontinued. Another Medigap Plan that was instated at the same time that Plan J was discontinued is Medigap Plan N.
This plan is considered the cheaper alternative to Medigap Plan F. The beauty of Plan N is that it covers almost all of the costs incurred that are not covered by Medicare, but requires a much lower monthly premium than Plan F. You pay $20 copay to see a doctor, and you'll pay $50 for emergency room care that doesn't result in an inpatient stay at the hospital. However, when you compare Medigap Plans, please note that Plan N does not cover excess doctor charges. These are the alternative Medicare Supplement plans to chose from. Medigap plans give the most flexibility in seeing providers, but there is also a cost involved. That cost is based on where you live and your zip code, among other factors. To get a free quote, fill out our form and let me know what plan you are considering. Or better yet, schedule a time to talk with me. There you have it. All the Medigap plans from A-N. There were a lot more details that we weren’t able to cover but those are the coverages overall. Of course, if given a choice, we would all like to enroll in Plan F or G.
But not everyone can afford those plans. We're here to help you find a plan that is right for you, and that can fit your budget. For more information, give us a call at 866-445-6683 or use our contact form to send us an email.